The European Solar Telescope (EST) is the future project for European ground-based solar astronomy. It is the main project for EAST (European Association for Solar Telescopes), an association with 15 member institutions from 15 European countries. 1. There is a fundamental link between the earth and the Sun. The Sun is of primary importance because it maintains life on earth. Any change in conditions in the Sun could have dramatic consequences for us. Large amounts of energy can be transferred into the plasma, from where it is stored in the magnetic fields, in very small periods, between seconds and minutes. These transfers can accelerate the plasma to speeds of within a fraction of the speed of light and, if this accelerated plasma (in the form of an ejection of coronal mass) reaches the earth's magnetopause, it can give rise to fascinating events (auroras) and phenomena that are potentially dangerous for our environment (damage to satellites, overloading energy lines, excessive radiation exposure for space crews or the International Space Station etc). This means that it is essential for us to study all of these processes so that we can predict them. 2. The Sun is a fundamental physics laboratory (the interaction between the plasma and the magnetic field can only be studied in the Sun's extreme physical conditions). 3. The Sun is a fundamental model for understanding the rest of the Universe (all of the stars are suns). 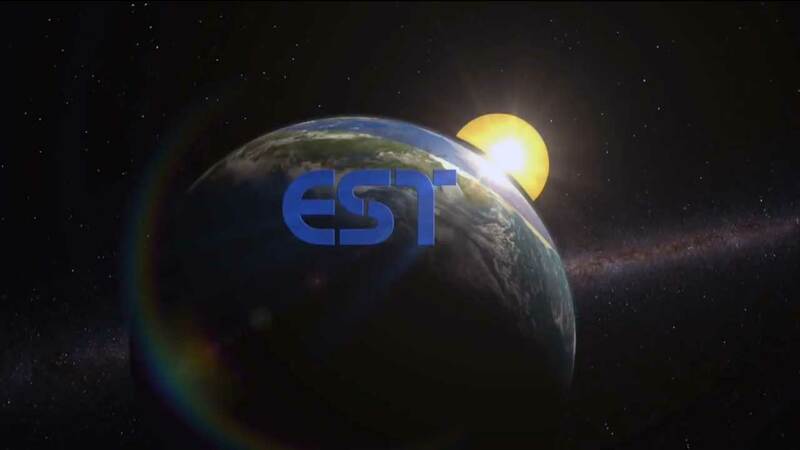 The EST will look at the fundamental solar processes at their tiniest scales, allowing us to analyse physical phenomena in the greatest possible detail.